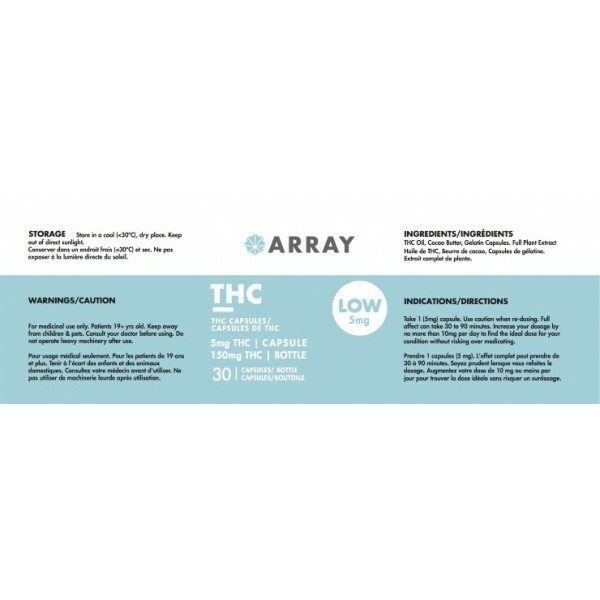 Array THC Capsules - 5mg THC (30 Count Bottle) This product is tested in a Health Canada approved lab and contain all natural THC. 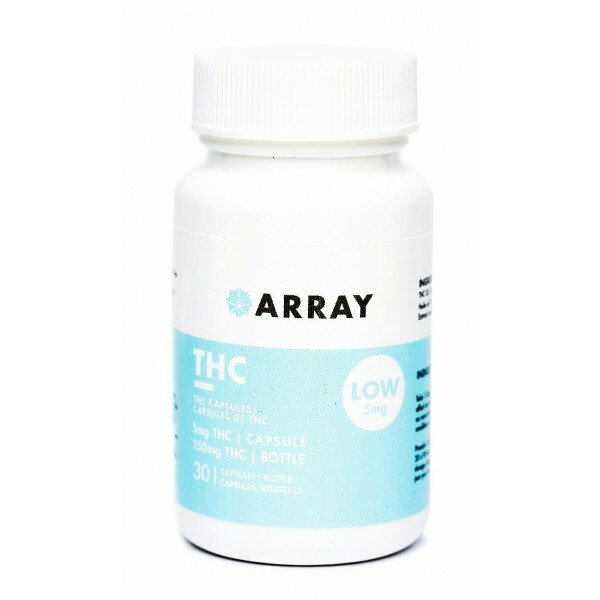 These capsules are formulated with cocoa butter and come in a gelatin cap for easy ingestion. 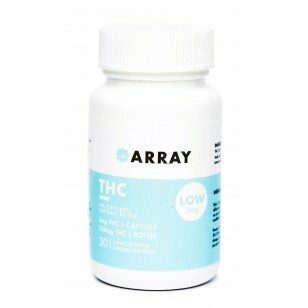 30 caps per bottle 5mg THC per cap (low 5mg) 150mg THC per bottle ** Please store in refrigerated for quality assurance.